It is time for me to show you a picture of Canterbury Cathedral again. 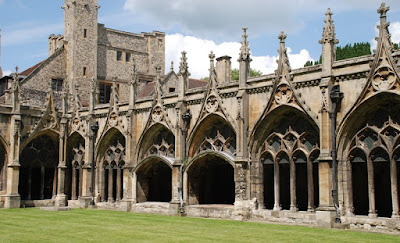 I have shown you the wall on the left before and also not long ago I showed you the picture of inside these cloisters. 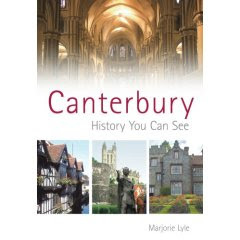 This are is often very quiet because not all tourists stick to the inside of Canterbury Cathedral. Underneath those arches there are seats on the wall where you can seat and meditate or just relax. This is a beautiful place to be. So Gothic in the supporting structure one is reminded of the Doges Palace in Venice. Lovely day fpr a walk around the Cathedral. It is lovely. I think if I lived near it I would have to take photos often.